From the first hours encountering the health professionals who volunteer with or work full time at Floating Doctors, I had the feeling that the week ahead of me would be filled with interesting cases to learn from. What I realize now is that the cases, no matter if they were routine or unique, have filled me with a renewed sense of compassion and helped me apply the concepts that I have learned this year as a student in the Global Medicine Program at USC. The country of Panama is a culturally vibrant place in Latin America and like many of its neighbors faces challenges with healthcare infrastructure. Though it is considered an upper-middle income country by the WHO, many of its citizens struggle with healthcare access, often due to poverty. The areas in which indigenous peoples live are often isolated rural villages, further complicating the process of accessing health services, many of which they struggle to afford. 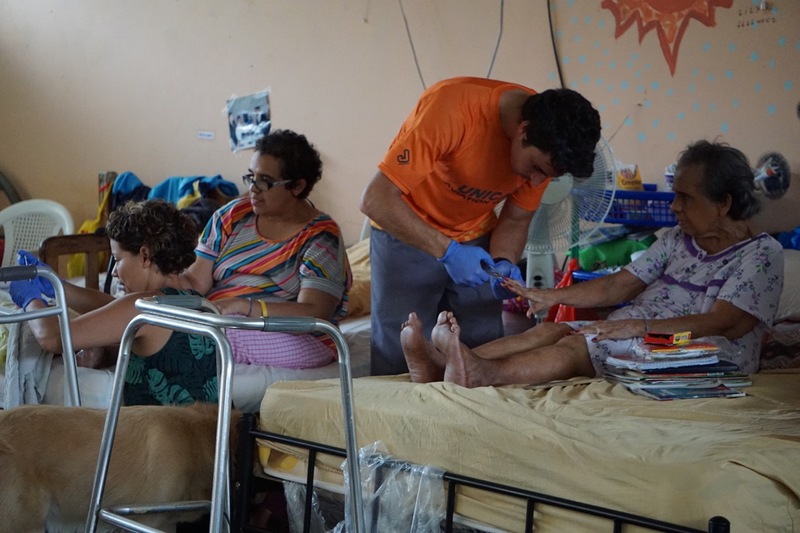 One large challenge regarding healthcare in Panama is that it must address the double burden of infectious diseases, such as Malaria, Leishmaniasis, and the Zika virus, as well as non-communicable diseases such as Obesity and Cardiovascular Disease. In addition to these challenges there are a lack of services and education in my area of interest, oral health. Like many other countries in the region, the children I saw in Panama had access to food and drink high in sugar, such as soda and candy. Rural populations in Latin American countries are typically thought to adhere to traditional diets high in fruit, grains, and vegetables, whereas the diets of urban populations have shifted toward Western staples. This can contribute to an array of health issues including obesity and oral health problems. The imbalance between energy expended and caloric intake is a challenge that is expanding into rural areas, which I observed in Bocas del Toro. At the end of one clinic day in an area called Quesbada Sal, I walked passed cases of soda being unloaded from small wooden boats onto the dock. This island is an hour away from the main town, and is an example of how diets high in sugar are penetrating rural environments. The level of sugar intake, along with the use of water untreated with fluoride, was reflected in the oral health issues patients presented with at the clinic. Only a handful of children were living completely free of dental caries, and many more were living with rampant tooth decay. I had never observed such a high number of extractions of the deciduous teeth, prompted by severe tooth decay, reducing a once healthy tooth to one causing constant pain. 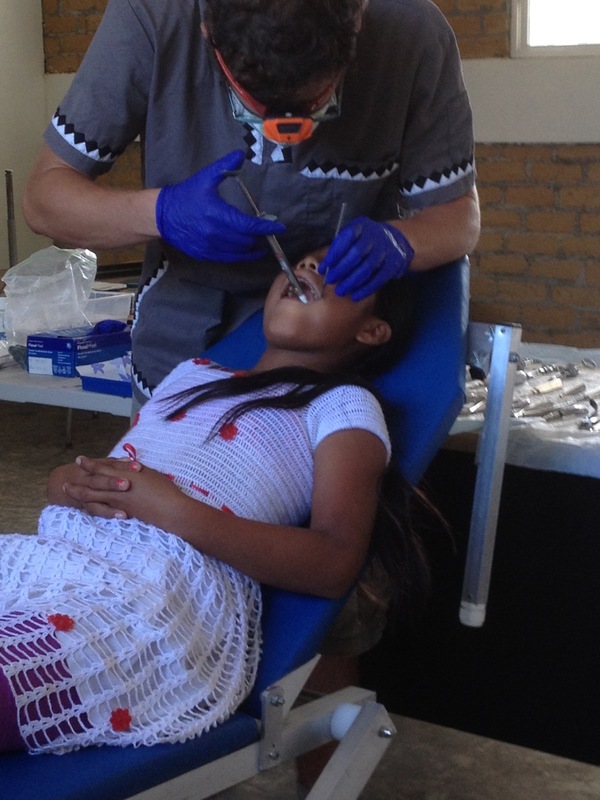 Other children with less decay received fillings, which were performed using only basic instruments, no drill or suction. The atmosphere of the dental side of clinic was one where we did the best we could with what we had. One extraction was even done without a dental chair, on the steps of the clinic. What I admired most about the dentists as well as my peers was their willingness to improvise and to provide the best care given the circumstances. The overall community response to our presence was largely positive, with many patients waiting hours in the queue to be seen by the dentists. One thing that struck me immediately at these rural clinics was the number of locals who had never been seen by a dentist before. Many of these people were of the indigenous Ngobe population, and though I expected them to be hesitant of us they surprised me with their welcoming attitude. Some of the patients we saw were children at their first dental visit, but others were adults who were having their first experience as well. 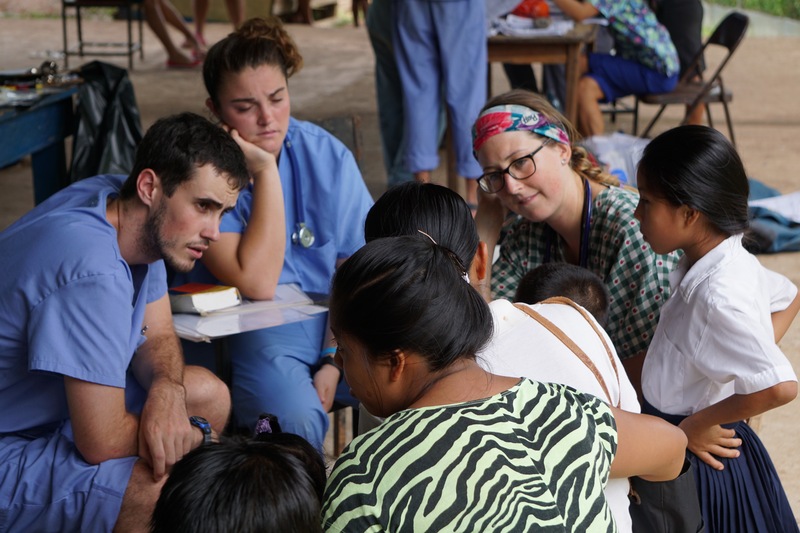 The reputation of Floating Doctors within these communities was a great asset, and without the trust of the community these patients may never have come out to be seen. What was most challenging was the management of patient anxiety, especially in our pediatric patients. While I assisted the two dentists, Sarah and Philippe, I observed them using an interesting technique to calm a patient, a scared three-year-old girl. The conventional method of managing anxiety in pediatric dental patients, called “Tell-Show-Do”, was not successful with this child, so they decided to try a different method. 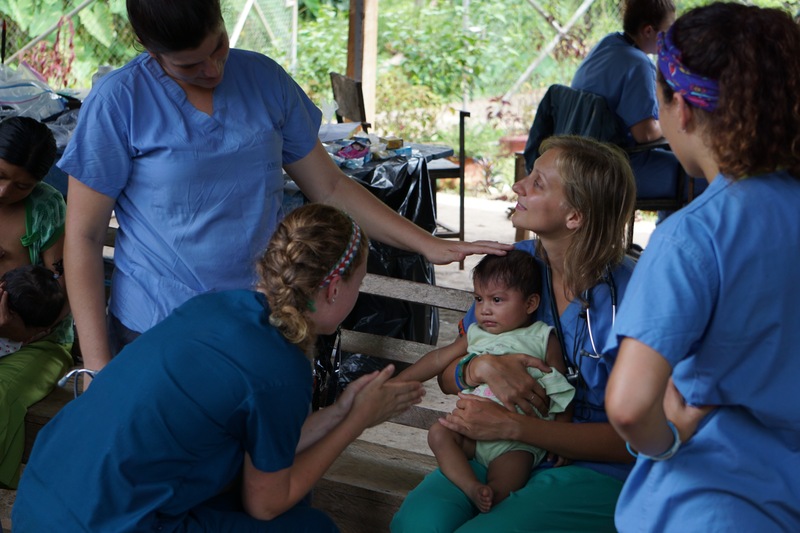 The mother sat on the chair and held her daughter on her lap, and this calmed the girl enough so that Sarah could perform the dental exam. Over the course of this encounter the patient began to relax, and she received a filling for a cavity on one of her maxillary teeth. It was interesting to see an alternative to the usual methods of managing patient anxiety, and to gain perspective on situations where a practitioner must adjust their plans in order to be effective. Though it was challenging to calm this young patient, it is my hope that this introduction to dentistry was positive overall, and that she will be responsive to oral health education in the future. Though we were busy with the high volume of patients, we still took the time to hand out toothbrushes, toothpaste, and speak with the children about oral hygiene. My group created a poster that taught the techniques of brushing and flossing, which was both informative and colorful. This was one of my favorite activities while working in these communities because education is essential to changing behavior and effecting long-term health. The people in these communities were receptive to new information, the children most of all. After being taught about brushing their teeth they seemed to share what they had learned with their family and friends. The children would line up and ask for “cepillos” and “colgata”, which I quickly learned are their words for toothbrushes and toothpaste. The children seemed genuinely curious about the dental station, and on several occasions I saw their intent faces peering in at us, and I felt as fascinated by them as they were about our work. In the short-term it is a small victory to teach a child to brush their teeth and give them the means to do so, but the real challenge ahead is to address how they will maintain these health behaviors. Will they have access to basic supplies like toothbrushes, toothpaste, and floss? If not, how can this be addressed? This is something that has been in my thoughts since returning from Panama, and I realize that solutions will ultimately have to be a result of prioritization within the communities. There must also be a strong presence of healthcare providers to stress the importance of maintaining these behaviors. This is one of the many reasons that Floating Doctors is important for the area, and why the Global Medicine Program should continue sending students to participate in this valuable experience. 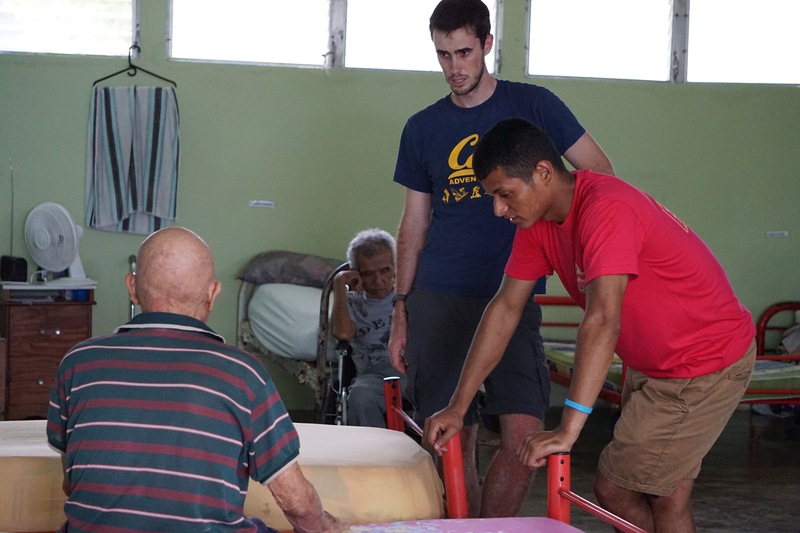 Another portion of the trip that will likely have a lasting impact on my perspective of the world was visiting the local nursing home on the main island. From the moment I walked into the facility I had to challenge my expectations and reevaluate my assumptions about the culture. I met several residents who had been abandoned by their families, and others who lived there with family members. One example of this is a woman I met who lives in this facility with her mother as well as her sister. They are only in their 40s, which by US standards is a young age to be admitted to a facility for long term care, with 88% of residents being age 65 or older. However, both appeared to have mental health issues, and with nowhere else to go they were admitted to the nursing facility. Until you have no one to talk to, you might not realize how important that is! Spending time with these women made me reflect upon the idea of treating every person kindly and helping them live with dignity. As I stood in that room where upwards of fifteen women slept, my only desire was to give them attention, show compassion, and let them know that someone cares. I could sense this motivation in all of the volunteers there, saw it in their body language, and heard it in the kind words they spoke. This experience was one of the most humbling I have had in my life because these residents value the things we often take for granted, like a conversation or a hand to hold. After spending time with the residents of the nursing home I have reflected on my career and am drawn to the idea of practicing as a general dentist where I can see children, the elderly, and everyone in-between. Moreover, it renews my sense of purpose for seeking out education as dentist, and where I may practice in the future. 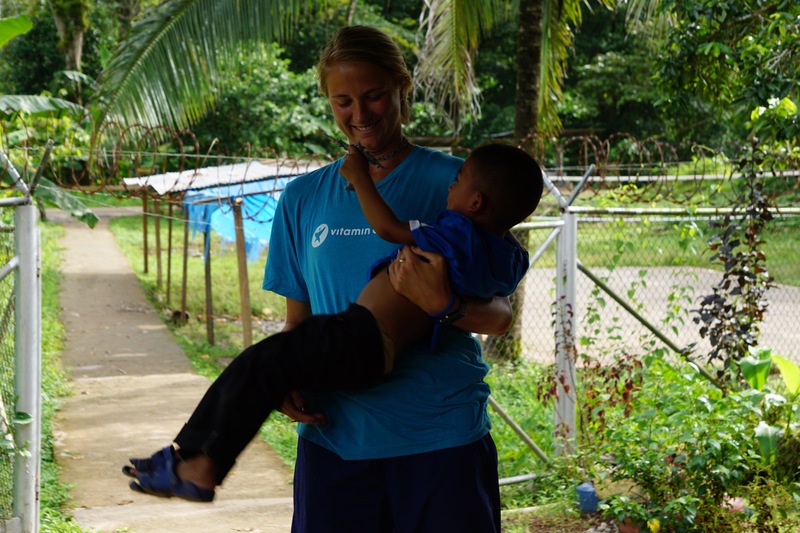 Though we were only in Panama for a short time, the long-term impact of our visit can come in the form of support for Floating Doctors and other groups like it. Beyond giving care that is needed, Floating Doctors educates their patients at every opportunity. What has stuck with me from this experience is that while we address issues such as access to healthcare and overall health we should also empower these populations with knowledge. 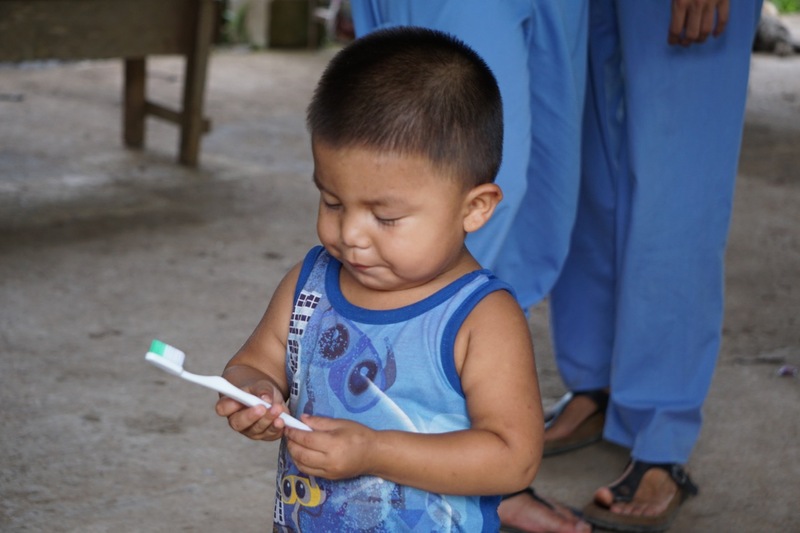 Perhaps one of the children I spoke to about oral hygiene will someday become a dentist, a physician, or an advocate in their community healthy living. Educating is the key to empowering all people, and it is my hope that the people of the Ngobe communities will be positively affected in their health today and in the future by continued efforts from Floating Doctors. WHO Panama Profile Socioeconomic. World Health Organization. 2011 Report. Kain, Juliana et al. “Obesity Trends and Determinant Factors in Latin America”. Cad. Saude Publica, Rio de Janeior, 19 (Sup. 1): S77-S86, 2003. Farhat-McHayleh N. Harfouche A. Souaid P. “Techniques for Managing Behavior in Pediatric Dentistry: Comparative Study of Live Modeling And Tell-Show-Do based on Children’s Heart Rates During Treatment”. Journal of Canadian Dental Association. May 2009. Nursing Homes Fact Sheet. AARP Public Policy Institute. Oct. 2007.